A passion for hats was the reason for creating Rough & Loyal. To make sure this passion doesn' get lost, the company follows its own rules. This means fair and eco-friendly production and a refusal to give in to the mainstream. Keeping it real and exciting is important for the people behind Rough & Loyal. Their hats are made for all men and women for whom 'rock 'n' roll lifestyle' is more than just a phrase. Authentic, stylish and tasteful are the right words to describe hats made by Rough & Loyal. 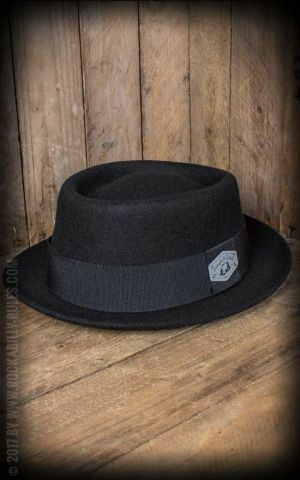 Whether fedoras or pork pies, these high-quality hats follow a tradition connected to names like Al Capone, Humphrey Bogart or Buster Keaton. At the same time, they are the perfect choice for relaxed vintage and rockabilly outfits and look good on men and women alike. Rough & Loyal also has some special accessories in stock. These include hat clips you can use to attach your hat to your belt any time you need to take them off - this is the perfect product for anyone who doesn't like the idea of giving their headgear to someone else. 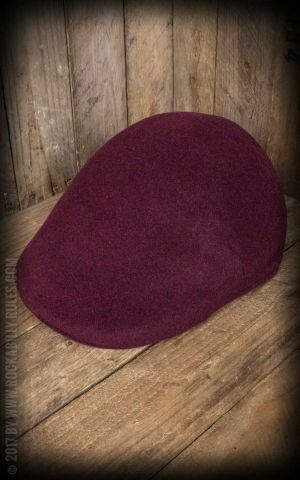 Made from cowhide, they look almost as good as the Rough & Loyal hats themselves. 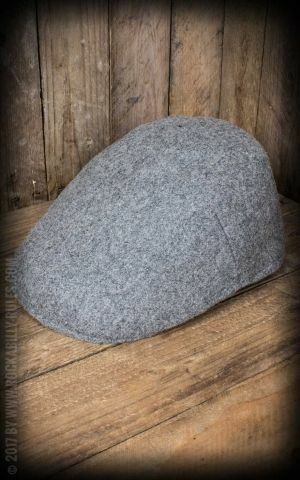 Attention gentlemen, dandies and rockabellas - hats by Rough & Loyal are now available in our online shop!